So, it is April 4th, which means it is National 4×4 Day. 4×4 Day is like any other day, except way cooler, and a perfect excuse to head to the trails and get a little dirt on your tires. 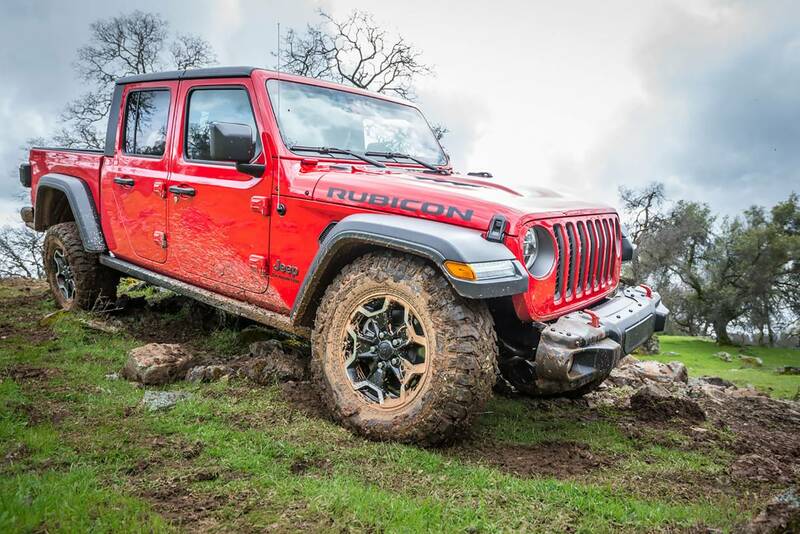 This year, 4×4 Day has a little more hype with the release of the Launch Edition of the Jeep Gladiator. So quickly going over the Launch Edition and how to acquire one, let’s have a little chat. To order your Launch Edition, simply head over to the Jeep website, and fill out your form and pick the color of your choice. 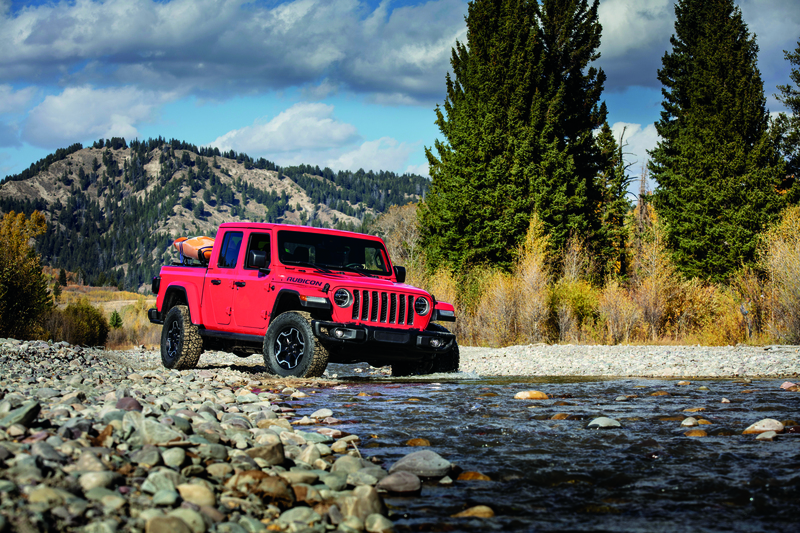 If you order one of the 4,190 Jeep Gladiator Launch Editions, you are going to receive a fully loaded Rubicon with every factory option that you can think of. Spray in bed liner, you got it, Trailer Tow Group, you got it, Body Colored Freedom Top… you guessed it, you got one! The real reason to get the Launch Edition is the contest that goes along with it. Every lucky new owner will be entered into a chance to win $100,000 to do one thing, enjoy your Jeep with no restrictions. The goal is to be able to allow you to take a year off from work and just explore with your new Gladiator. If the Launch Edition Gladiator is not your cup of tea, or in your budget, I understand. 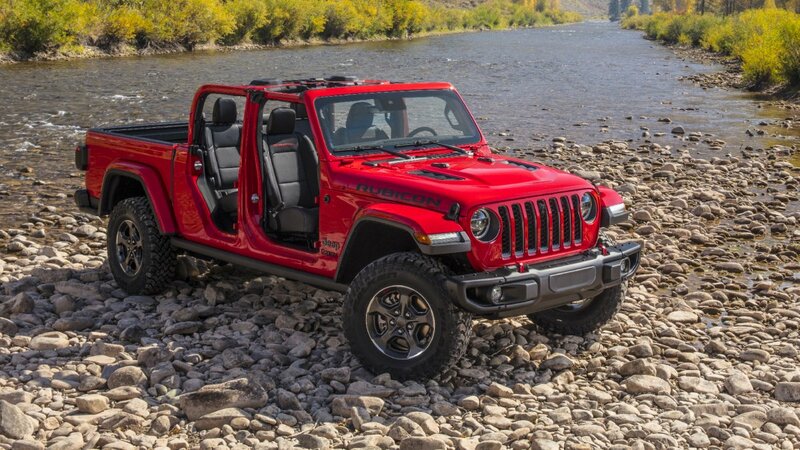 In order to provide some insight, I am going to give you a brief run down of the 2020 Jeep Gladiator I would purchase and why. Looking at the build and price feature, the Jeep Gladiator comes in a variety of 4 trim levels, the Sport, Sport S, Overland, and Rubicon. 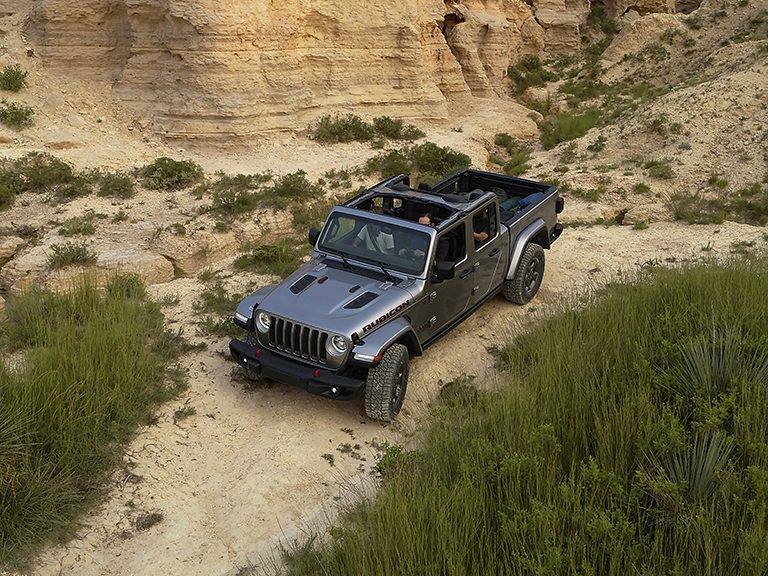 In the Wrangler/Gladiator world, the trim levels vary greatly with different interior, axle, tire size, and suspension options. Quickly to break them down, the Sport trim level offers the entry level Gladiator. It provides all the fun and freedom of the Gladiator, while keeping the costs down. The next trim the Sport S, which is similar to the Sport, but offer more creature comforts such as a 7 inch UConnect system, power windows and locks. The Overland is the Fancy Gladiator, offering 18 inch wheels, 8.4inch UConnect system, and bright LED headlamps. Finally, we have the Rubicon. The Jeep of all Jeeps, providing an out of the box off road king with the Rock-Trac 4×4 System, 33 inch Tires, high clearance fenders, and factory rock rails. Of course, this was a very quick break down, but to learn more, check out Quirk Jeep. So let’s go over the Gladiator I would get and why I think it’s perfect for my needs. Giving a background, I would use this Jeep to commute to work in, enjoy the summer days, the occasional home project, and upgrade to handle so light of road trails. To fit within my budget, I would start with a Firecraker Red Sport S. This way I can add some goodies and still have a nice commuter Jeep. Since it would be a daily driver, the 8-Speed Automatic Transmission would be a nice upgrade. Adding on the 7-inch radio Group also provides the Gladiator with the Cold Weather group( Heated Seats and Steering Wheel) and the Convenience Group, which gives me Remote start. All of the features are nice creature comforts and will provide me with an up class feel, especially in the winter. Now, here is the main add on I would get, and the reasoning behind it. Adding on the Max-Trailer Tow Package allows the Gladiator to tow up to 7,650 lbs by adding a 4.10 rear axle ratio, and Dana 44 axles front and rear. These are very similar to the Rubicon, without the factory lockers. The other main reason why I would like to have the Dana 44 axles is to be to install larger off road tires to help with off road trails. 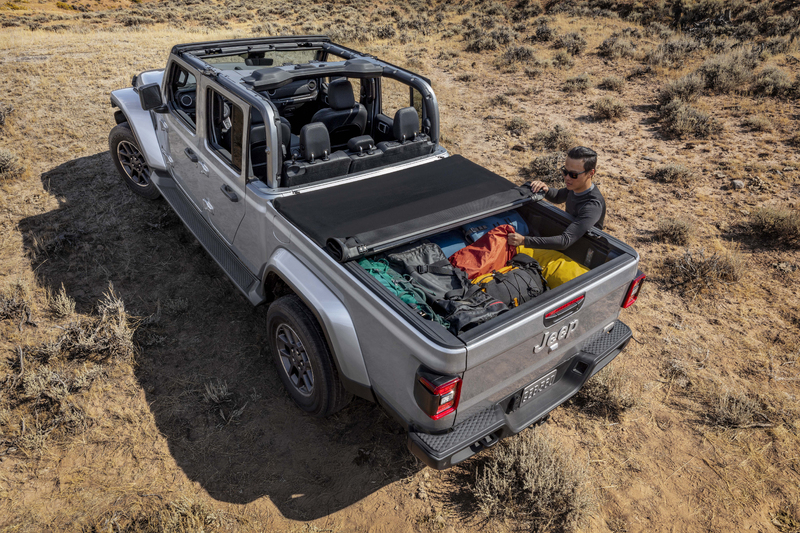 When it comes to the exterior and style of the Jeep Gladiator, there are a few tricks and tips that I have noticed over the years. Driving a soft top Jeep in the winter can be cold and noisy, so it is a wise move to option in the Freedom 3-Piece Hardtop. The nice thing about the 3-piece top is it provides the best of both worlds. In the colder months, it provides you with a sturdy and secure roof that holds in heat better and cuts down on wind noise, but in early spring, when we get the occasional warm day, pop the freedom panels off for the true Jeep experience. I would also make sure to get the soft top as well, and switch between the hardtop and soft top when the seasons change. With the new rail system, the soft top can be taken down in minutes and allow you to drive around in the only convertible with a truck bed on the market. 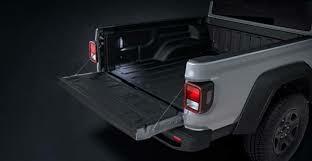 The final options I would suggest to get is the bed liner and Tonneau cover. The reasoning for the bed liner is to improve the durability of the bed, and to prevent any unsightly damage to the paint. 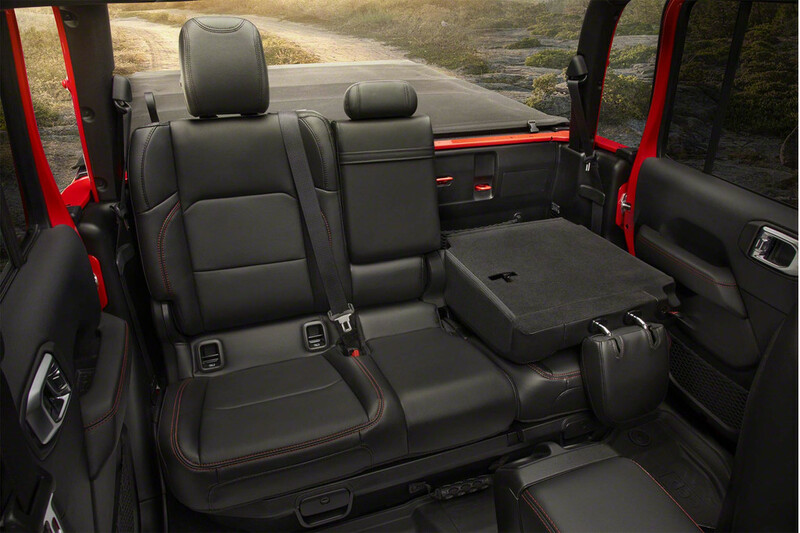 The reasoning for the tonneau cover is for security. For 90% of the time, I will not be using the truck bed for any purpose besides smaller item, and leaving them in the open may not be the best idea. Explaining the Jeep Gladiator and all the options is no easy task, so I apologize if I didn’t cover all the facts you wanted to know. But, I have the solution to this dilemma, and it will help you understand every feature and explore what Gladiator is best for you. 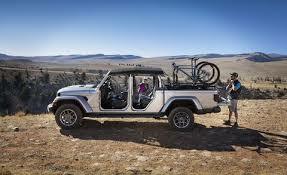 Take a trip over to either theJeep website or visit any Quirk Jeep Dealer to learn about all the features. And, if you are like me and already know exactly what you want, you can start to pre order process. But the most important part, when you are driving your new Gladiator, make sure to understand the “Jeep Wave”. 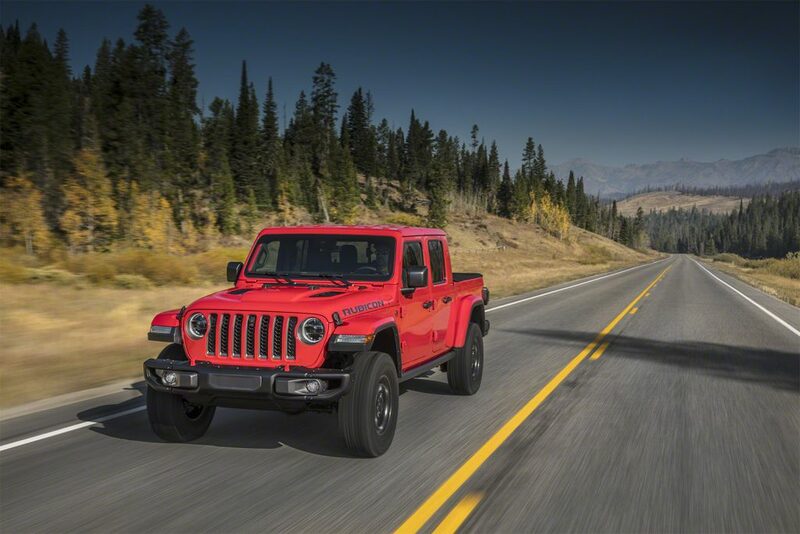 Note: Pre-order your All-New Jeep Gladiator Now!